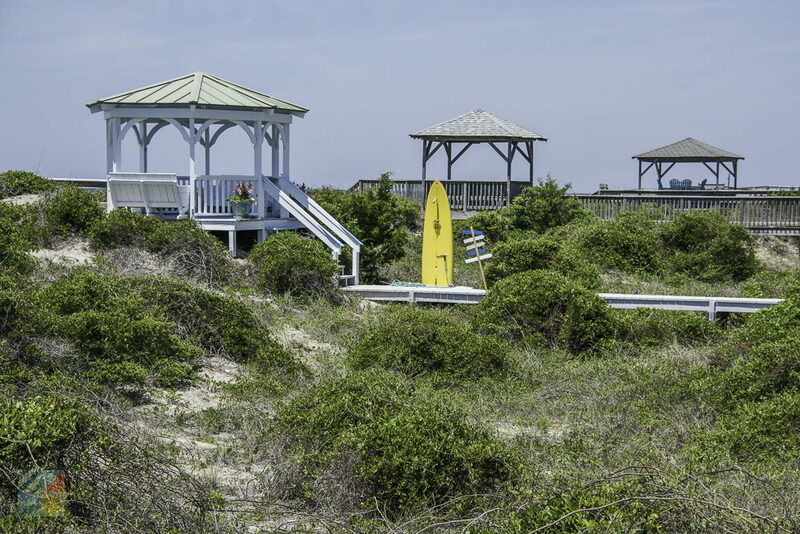 Visitors will find an easy-to-get-to beach paradise at Oak Island, an expansive but peaceful retreat that's located an easy drive away from Wilmington, Southport, and other inland North Carolina communities. Both the main town and the island itself share the name of "Oak Island," and while the town extends slightly inland, encompassing the Cape Fear Regional Jetport, the rest of the community is cut off from the world by the long Elizabeth River, and a network of salty creeks and canals. This watery gap may not be particularly wide, but visitors will feel the change as soon as they cross over the bridge. Once ashore, Oak Island is a picturesque landscape of charming vacation rental homes, cool seafood restaurants and shops, and miles of ocean shoreline. A favorite destination for anglers, water sports fans, naturalists, and beach aficionados of all genres, Oak Island is a close-to-home oasis for anyone who needs a relaxing long day, (or an entire vacation), soaking up the sun and the saltwater. The town has a fairly recent history by Eastern North Carolina standards, and wasn't officially developed until the late 1820s and early 1830s, when hundreds if not thousands of soldiers poured into the little beachside community to man the newly constructed Fort Caswell. The fort would prove to be a strong defense of the Cape Fear region in the next few decades, particularly during the Civil War when the fort helped keep the port of Wilmington open throughout the majority of the war for much needed goods and supplies. In fact, the island wasn't "discovered" by non-military personnel until the 1930s when ambitious developers constructed a beach pavilion to attract visitors from the neighboring town of Southport. The area blossomed as a local vacation destination until Hurricane Hazel in 1954, when the entire coastal region was literally wiped out, leaving just five buildings remaining in the Oak Island town of Long Beach. Luckily the island recovered, and began building anew, with the towns of Long Beach and Yaupon Beach being incorporated into the main town of "Oak Island," (although many long term vacationers and communities still reference the Long Beach or Yaupon Beach regions.) Today, the island has two main towns: the town of Oak Island and Caswell Beach, and a year-round population of nearly 7,000 people, which swells significantly in the warm summer months. 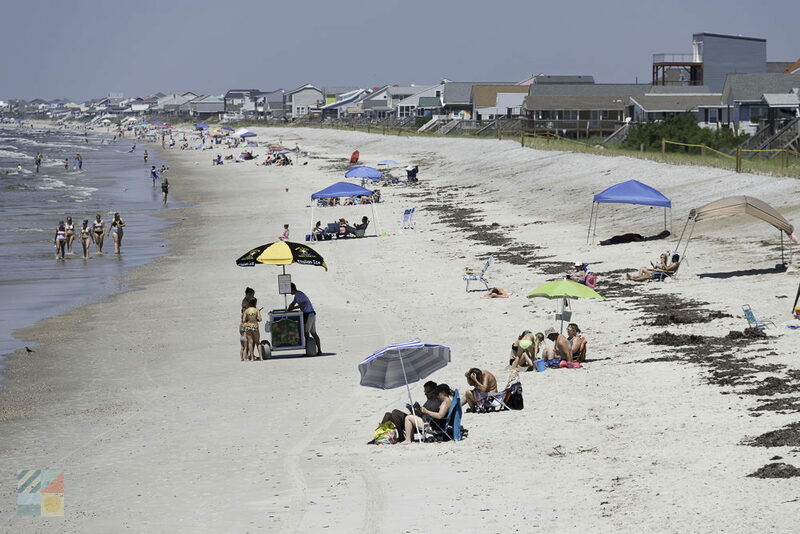 With a total area of 9.1 miles, many of it close to the ocean, the island is the largest of the Brunswick County beaches, and even with the big summertime boom, the island, and especially the beaches, never feel too overpopulated. Geographically, the island is a sliver of land that's long and not very wide, ensuring that despite where an Oak Islandvacationer stays, they'll always be fairly close to the oceanfront. For even easier access from the northern portion of the island, visitors can always stroll to the shore via the Marsh Boardwalk, a long but absolutely breathtaking boardwalk that meanders over several saltwater canals and a patch of maritime forest before reaching its oceanside 29th street destination. For recreation, visitors will find plenty of opportunities to surf, swim, enjoy a round of golf at the esteemed Oak Island Golf Club, or take a long paddle along the creeks and estuaries that separate this island from the rest of North Carolina. The Oak Island Recreation Center even offers a number of ocean and nature education programs including kayak tours throughout the year so visitors can learn more about the natural terrain. The May Moore Park is also a good place for newcomers to get their feet wet in the local nature scene, as it is a perfect spot for admiring the water views, and looking for prized bird watching finds, including herons, ibises and snowy egrets. 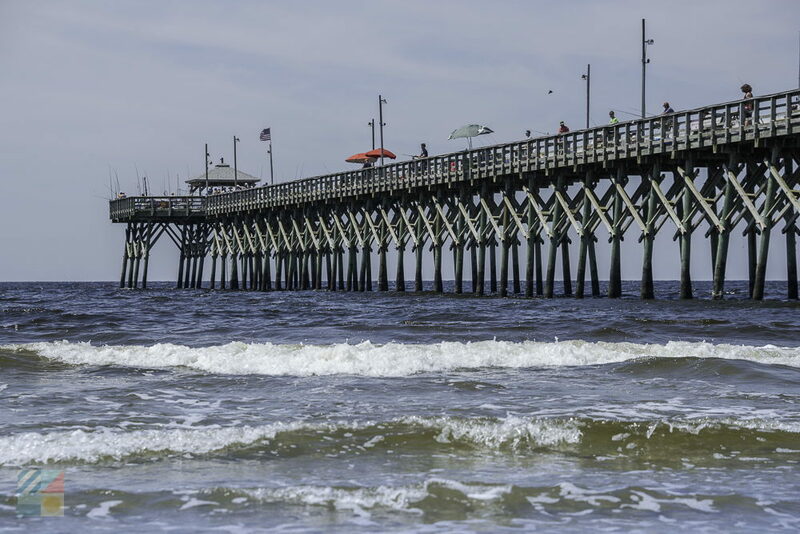 Fishermen also flock to Oak Island, as the surf fishing conditions are exceptional, and the island has two piers that are well-known as prime locations to reel in a big catch. 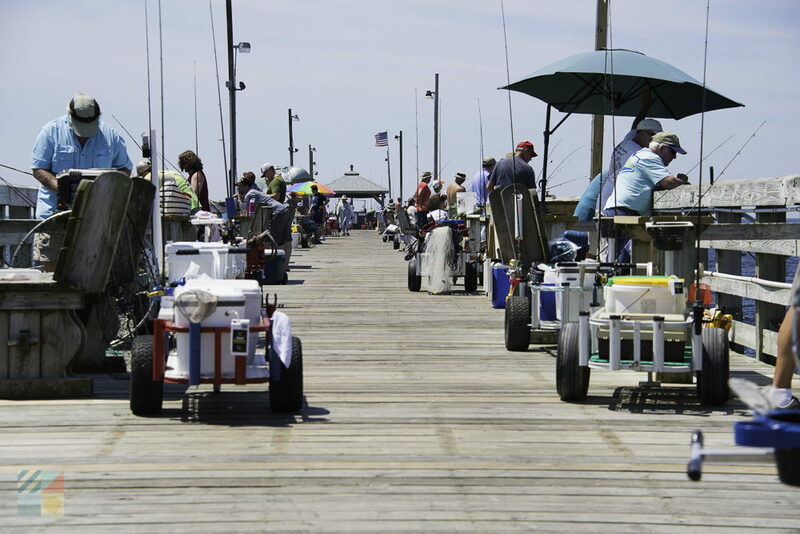 The Oak Island Pier and Ocean Crest Pier both offer fantastic angling from hundreds of feet into the Atlantic Ocean, (especially for King Mackerel - a local favorite), and reasonable day pass rates so every vacationer can try their luck and enjoy the open ocean view. The island also features plenty of off-the-beach entertainment for shoppers, including a Burlington Outlet, several beach supply stores, and plenty of gift shops and souvenirs shops, and visitors who crave a full day of antiquing or gallery browsing can head to Southport's downtown, located just a quick drive over the bridge. As for grub, islanders will find plenty of options ranging from hot dog stands and low-key seafood and burger joints to fine dining establishments overlooking the Atlantic Ocean. With a heavy focus on southern beach staples like BBQ and fresh seafood, visitors can rest assured that they won't go hungry on Oak Island, and will find an ample selection of eateries to enjoy every day and night of the week. Oak Island features a healthy handful of locally run inns, resorts and motels, well-spaced throughout the skinny barrier island, and open to weekend or weekly guests. The BlueWater Point Motel and Marina, located along the western edge of the island, is an especially popular retreat for maritime travelers as it features extensive docking in addition to gorgeous water views. The main form of accommodations on Oak Island, however, are vacation rental homes and condos, and the island boasts a variety of vacation rentals to choose from. With anywhere from 1-10 bedrooms, and resort-quality amenities including pools, game rooms, and beach boardwalks, many families find that renting a vacation home is the best way to enjoy a full week or two vacation, while staying in absolute comfort. There are several major vacation rental companies that service the island, and potential guests can easily search for and book their favorite beach cottage online months before their vacation even begins. Oak Island ef4ortlessly combines all the great features of a southern beach town into one large, but surprisingly unpopulated, vacation destination. With miles of ocean bordering shoreline, unique nature trails and boardwalks, two fishing piers, and enjoyable restaurants to appease everyone in the family, it's no wonder that this barrier island is easily one of the most popular destinations along the southern North Carolina coastline. Families who just want to relax, soak up the sun, and spend a week or too basking in the salty breezes need only grab the sunscreen and the fishing gear, and head south to this inviting and accommodating paradise by the sea. 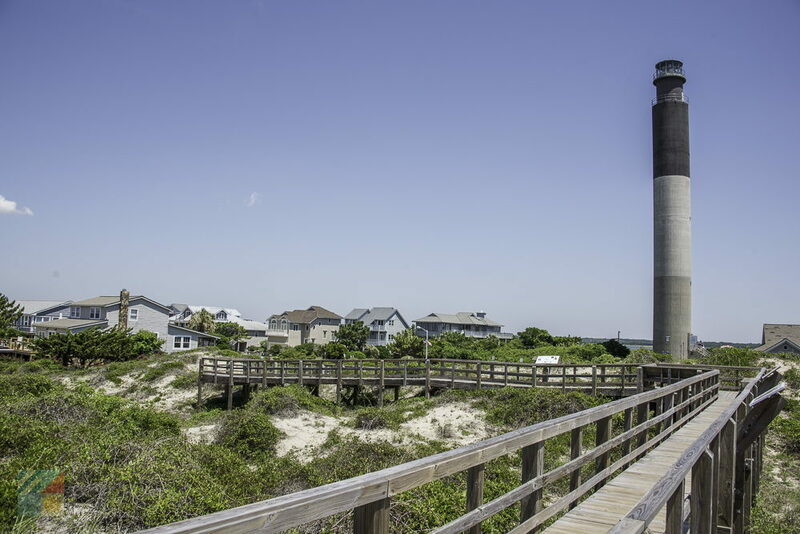 Visitors who love a quiet beach town, a dash of history, and a sunny location that’s close to a variety of Cape Fear attractions will fall in love with Caswell Beach. 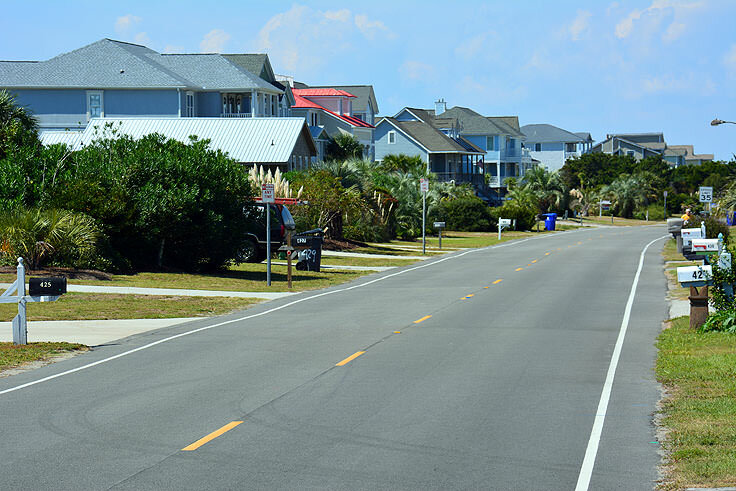 This small community that’s tucked away on the eastern edge of Oak Island has tons of charm and shoreline to go around, making it a coveted destination for family friendly vacations. Discover this small beach town that’s almost off the map, and see why a visit to Caswell Beach is always an enticing addition to any vacation agenda – whether it’s just a day trip, or a full week by the seashore.